Moen 9000 1/2 Inch IPS 8 Inch - 16 Inch Centers Widespread Faucet Valve with Drain Assembly from the M-PACT CollectionCategory: M-pact ValveGet high-performing results wiith the Moen 9000 1/2" IPS 8" - 16" Centers Widespread Faucet Rough-In Valve. It is built on the Moen m-pact common valve system, allowing you to update the faucet style in the future without replacing any plumbing. The connection type is an IPS and the size is a 1/2" valve. It comes with a durable quarter turn ceramic cartridge. This Moen faucet valve with drain assembly from the M-PACT collection has graceful lines to make an impression that lasts. Add this exciting accessory to your sinks today. Moen 4798 1/2 Inch PEX Roman Tub Rough-In Valve with 10 Inch Centers from the M-PACT CollectionCategory: M-pact ValveThe graceful lines and attention to detail in every Moen bathroom and kitchen faucet is designed to make impressions that last. 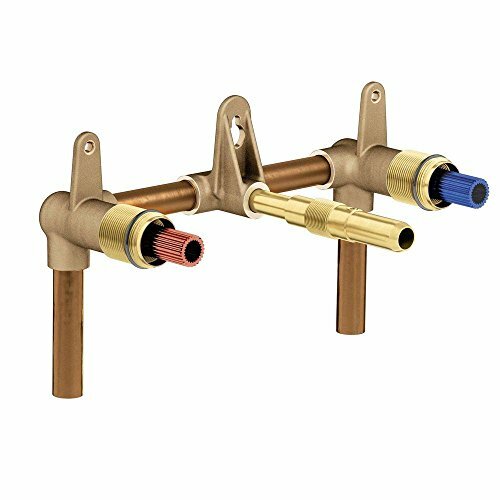 Moen 4793 1/2 Inch PEX Roman Tub Rough-In Valve with Adjustable Centers from the M-PACT CollectionCategory: M-pact ValveThe graceful lines and attention to detail in every Moen bathroom and kitchen faucet is designed to make impressions that last. 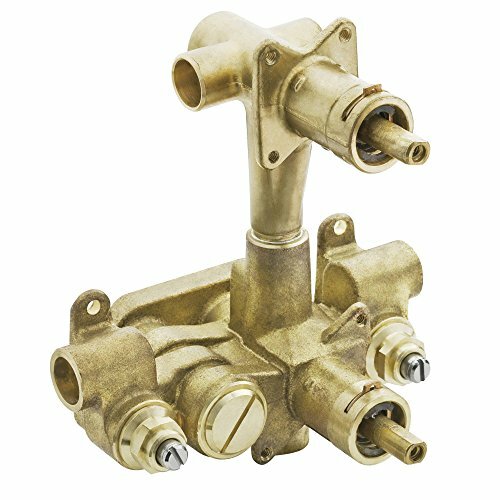 Moen 4792 1/2 Inch Sweat Roman Tub Rough-In Valve with Adjustable Centers from the M-PACT CollectionCategory: M-pact ValveThe Moen 4792 1/2" Sweat Roman Tub Rough-In Valve helps you to set up your bathtub for easy operation. It's designed to hold up to lots of regular use and give consistent performance. 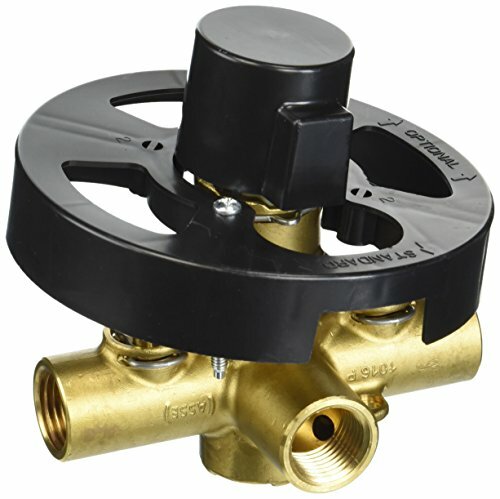 This two-handle tub valve is part of the M-PACT Collection (other pieces available separately). Moen 4796 1/2 Inch Sweat Roman Tub Rough-In Valve with 10 Inch Centers from the M-PACT CollectionCategory: M-pact ValveThe graceful lines and attention to detail in every Moen bathroom and kitchen faucet is designed to make impressions that last. 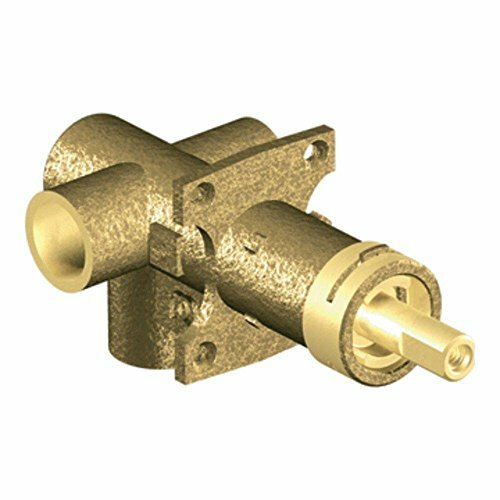 Moen CA9000 Widespread Lavatory M-PACT Rough-in ValveCategory: M-pact ValveMoen CA9000. 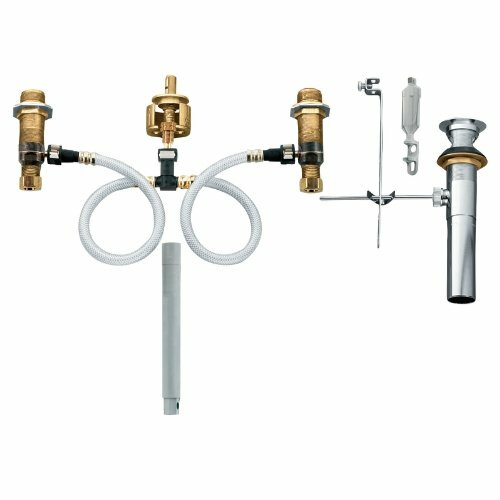 Moen 9700 1/2 Inch Sweat Wall Mounted Bathroom Faucet Rough-In Valve with 8 Inch Centers from the M-PACT CollectionCategory: M-pact ValveUpdate the look of your sink with this Moen 9700 .5" Sweat Wall-Mount Bathroom Faucet Hookup. 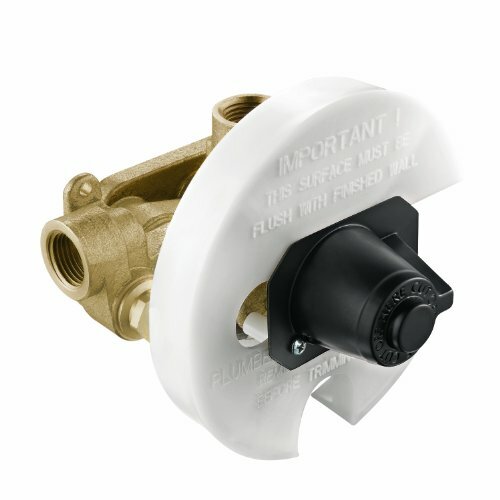 It is built on the Moen common valve system that allows the manufacturer's parts to be easily updated without having to replace any of the existing plumbing. This Moen bathroom faucet rough-in valve can be set with up to 1.5" extensions in order to accommodate the thickness of your walls. It is ideal for any bathroom in your home and it allows you to easily change your room's look and style. Thia wall-mount faucet with 8" centers from the M-PACT collection has a pipe for the faucet and controls for both the hot and cold water. 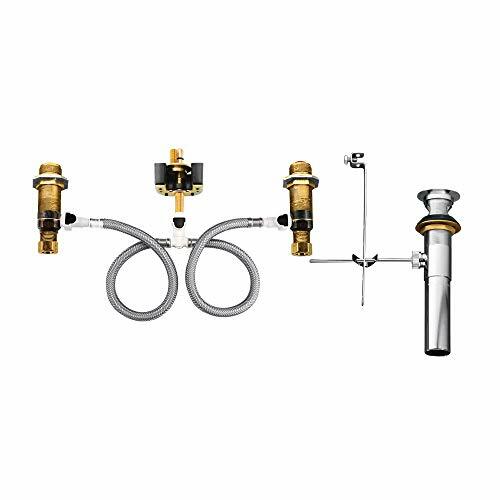 Moen 9796 1/2 Inch Sweat Roman Tub Rough-In Valve with Diverter and 10 Inch Centers from the M-PACT CollectionCategory: M-pact ValveThe graceful lines and attention to detail in every Moen bathroom and kitchen faucet is designed to make impressions that last. 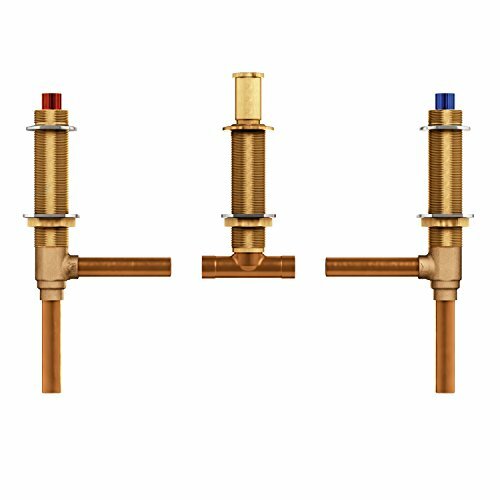 Moen 9793 1/2 Inch PEX Roman Tub Rough-In Valve with Diverter and 10 Inch Minimum Centers from the M-PACT CollectionCategory: M-pact ValveThe Moen 9793 1/2" PEX Roman Tub Rough-In Valve is built on the M-PACT common valve system. This allows you to update the faucet style in the future without replacing any plumbing. 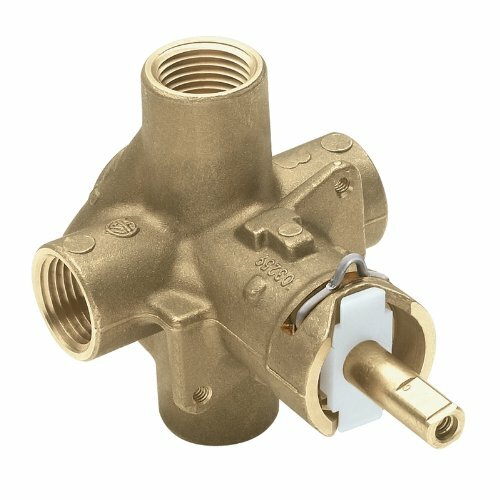 The Moen rough-in valve from the M-PACT collection features CPVC and PEX connection types. 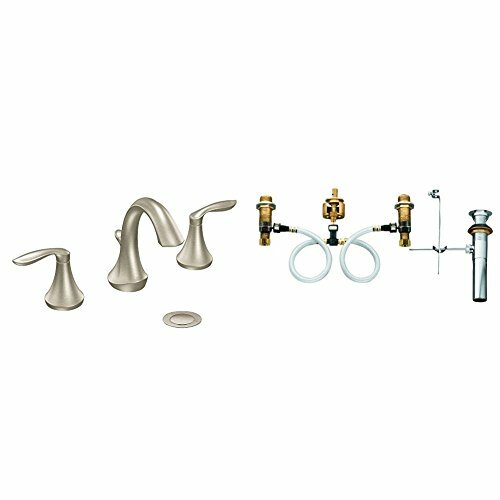 Moen T470 Single Handle M-PACT Pressure Balanced Valve Trim Only from the Chateau Collection (Less Valve), ChromeCategory: M-pact ValveThe graceful lines and attention to detail in every Moen bathroom and kitchen faucet is designed to make impressions that last. Sales-priced http://www.amazon.com/dp/B000T7Q6OI/?tag=kaluzui-20 Best Moen 9000 M-PACT Widespread Lavatory Rough-In Valve with Drain Assembly review! Local Deals Moen 9000 M-PACT Widespread Lavatory Rough-In Valve with Drain Assembly.